It was the headline in The New York Times that caught my attention. "Princess Spinsters Worry Sovereigns: Royal Daughters, coming of age all at once, exceed princely suitors in Europe...."European royalty is facing a crisis in family life which is giving no end of worry to the households of various sovereigns. The trouble is due to too many princesses coming of age simultaneously without enough royal princes to go around." As we approach the 21st century, we may scoff at such headlines. But in the 1920s, marriage was largely the only option for royal princesses. The one exception was Crown Princess Juliana of the Netherlands, the only child of Queen Wilhelmina and Prince Hendrik of the Netherlands (ne Prince Heinrich of Mecklenburg-Schwerin). Juliana was an eligible princess who was also the heir to her country's throne. The dispatch acknowledged that there was a "growing popularity of marriages between royalty and the nobility." In 1923, Princess Jolanda of Italy married Italian count Giorgio Calvi di Bergalo, a member of the Italian aristocracy. In a 1929 article in The New York Times, Virginia Pope wrote: "Husband hunting is no easy task for royal princesses nowadays. There are far fewer prospective crowned heads to choose from, and the uncertain future of thrones has caused princesses to look outside the charmed circle of royalty for their mates." < In other words, there were not enough princes to go around. The Great War was responsible not only for the deaths of millions of young men, but was also the catalyst that brought down three of the most powerful thrones in Europe: Russia, Germany and Austria. Kaiser Wilhelm II of Germany and Emperor Karl I of Austria spent their final years in exile. The Bolsheviks murdered the Russian Emperor and his family. Had they survived, the four daughters of Nicholas II, Olga, Tatiana, Maria and Anastasia, would certainly have topped most lists as the most eligible young royal women; and despite his hemophilia, Alexis' position as heir to the Russian imperial throne, would have meant a brilliant dynastic marriage. The surviving Romanovs, as well as the Archduchesses of Austria and the princesses and duchesses of the former German ruling families were no longer considered on the A-List for marital consideration. The Greek princesses largely lost their allure when King George II was deposed in 1924. Seven years later, the former highly touted Infantas Beatriz and Maria Cristina of Spain experienced the same situation when their father, King Alfonso XIII, went into exile when Spain was declared a republic. The American media, which included the internationally respected New York Times, often published articles about the royal families of Europe; and speculation about the plight of Europe's young princesses was a common topic in newspapers and magazines. The above-quoted New York Times article was one of half a dozen similar profiles that were published in that newspaper between 1923 and 1932. As the New York Times article pointed out, marriages with the nobility was popular. In Britain, such marriages were becoming the norm as the first three royal weddings since the end of World War I were with members of the British aristocracy. On July 17, 1917, the day when the British Royal Family renounced their German titles and adopted Windsor as the name of the House, King George V wrote in his diary: "I've also informed the [Privy] Council that May and I decided some time ago that our children would be allowed to marry into British families. It was quite a historic occasion." (It should be noted that prior to the accession of George I, it was not uncommon for a member of the English or Scottish royal families to marry into the noble families. Queen Victoria encouraged such marriages, as well. Her daughter, Louise, was married to the Duke of Argyll, and her granddaughter, Princess Louise of Wales, was the wife of the Duke of Fife). In February 1919, George V's cousin, Princess Patricia of Connaught married the Hon. Alexander Ramsay of Mar, the younger son of Earl of Dalhousie. The Princess, who preferred painting and country life to royal panoply, renounced her royal title, and following her marriage, she was known as The Lady Patricia Ramsay. It was also unlikely that George V's only daughter, Princess Mary, would marry a foreign prince, although some assumed she might marry her first cousin, Crown Prince Olav of Norway. In 1922, Mary married Viscount Lascelles, heir to Harewood earldom. Her parents supported the marriage, and her countrymen were delighted that the princess would remain in Britain. Crown Prince Olav aside, the majority of her suitors were British aristocrats, including Lord Lascelles, the Earl of Dalkeith and Viscount Althorp, whose fathers were the Duke of Buccleuch and Earl Spencer, respectively. A generation earlier, however, Mary probably would have wed a German prince. But in 1922, it was untenable that a British princess would consider marriage with a German prince. The Great War was still fresh in Britain's memory. One of Princess Mary's adult bridesmaids was Lady Elizabeth Bowes-Lyon, the youngest daughter of the Earl of Strathmore and Kinghorne. Lady Elizabeth had been briefly courted by Prince Paul of Yugoslavia, but she accepted the proposal from Mary's second brother, Prince Albert "Bertie," the Duke of York. They were married at Westminster Abbey in April 1923. "Duke of York Weds Simple Scots Maid; Throngs Hail Them," headlined The New York Times. The princesses who emerged as the marital front runners in the 1920s included Jolanda, Mafalda and Giovanna of Italy, the elder daughters of King Vittorio Emanuele III and his Montenegrin wife, Elena; Princess Ingrid of Sweden, only daughter of Crown Prince Gustav Adolf of Sweden, and her cousins, Martha and Astrid, the younger daughters of Prince Carl and Princess Ingeborg; Crown Princess Juliana of the Netherlands; Princess Marie-José of Belgium; Infanta Beatriz of Spain; Princesses Elisabeth, Marie and Ileana of Roumania; Princesses Helen and Irene of Greece, the daughters of King Constantine I, and their cousins, Olga, Elisabeth, Marina, Margarita, Theodora and Cecilia; and Grand Duchesses Marie and Kira of Russia, the daughters of Grand Duke Kirill and Grand Duchess Victoria of Russia. Although the two Grand Duchesses were living in exile, they remained viable contenders due to their impeccable family connections. Their mother, Grand Duchess Victoria Feodorovna, was a British princess by birth, a granddaughter of Queen Victoria, and they were the nieces of Queen Marie of Roumania, who spent an inordinate amount of time arranging marriages for her children and other relations. Another aunt, Helen -- the sister of Grand Duke Kirill -- was married to Prince Nicholas of Greece and Denmark, and their daughters, Olga, Elisabeth and Marina, were in the same age group as Maria and Kira. Thus, the two young women were invited to many of the important social events of the 1920s. In 1925, Grand Duchess Maria married Prince Karl, the 6th Prince of Leiningen, the head of a wealthy mediatized princely family. Writing in The New York Times in 1923, F. Cunliffe-Owen described Princess Olga's younger sisters, as "pretty" but "who have no other portion than their good looks." Prince Andrew's elder daughters, Margarita and Theodora, were described as "marriageable those less comely" than their cousins. < Topping the list of eligible young males, at least on paper, was the Prince of Wales, Edward, known to family and friends as David. Born in June 1894, David was considered to be the greatest catch, as he was the future king of the United Kingdom of Great Britain and Ireland. Cunliffe-Owen pointed out that "it is quite probable that the people of England would voice, through Parliament, their disapproval, of any scheme for marrying one of the sons of King George to a Princess of one of the former sovereign houses of Germany. But no objection would be raised if the young scion of the British reigning house should follow the advice of his heart and wed one of his father's subjects, or even an American girl of the Protestant faith." One presumes, however, that the American girl could not be twice divorced, with both husbands still living. Among the princesses rumored to be engaged to the Prince of Wales was Princess Ingrid of Sweden, whose late mother was Princess Margaret of Connaught, a granddaughter of Queen Victoria, was presented to Queen Mary in 1928, restoring "a bond broken by war." During the first world war, King George and Queen Mary would not receive members of neutral countries. Sweden, a neutral nation, had welcomed, much to the disappointment of the British sovereigns, the German Empress Auguste Victoria. "A coolness ensued" between Sweden and Britain, but "the old friendship was restored when Princess Ingrid bowed her head before King George and Queen Mary." Princess Ingrid was also the guest of honor at a ball at the Swedish Embassy, but the Prince of Wales did not attend. The rumors, however, continued when Ingrid returned to England less than a year later. "Surely, such a speedy repetition must have some significance, say those who always try to explain everything," Virginia Pope wrote. "But Ingrid is the granddaughter of the Duke of Connaught, and what is more natural than that she should show some interest in him." Prince Leopold, Duke of Brabant, heir to the Belgian throne, was also unmarried, as were the heirs to the thrones of Italy, Spain, Norway and Denmark. King Boris III of Bulgaria was in search of a queen, although, he was "arousing the fears of conservative monarchists by threatening to seek a mere dollar princess to share the Bulgarian throne." Published on October 7, 1923, Cunliffe-Owen's article, "Princes Are Few for Royal Maids," profiled several European princesses, including Princess Mafalda of Italy, Princess Marie-José of Belgium, and Princess Olga of Greece. This article was published a fortnight before Olga's marriage to Prince Paul of Serbia. "The engagement of Prince Paul of Serbia and Princess Olga of Greece has revived the discussion of the difficulties that confront the persons of Europe who seek mates. Princess Olga is accounted a lucky girl. Impoverished by recent political events in Greece, she is to marry great wealth. Better yet, she is in love with Paul and he with her. But best of all -- and this is what the matchmaking mothers of Court Society have most in mind - she is to marry a man of her own station in life." Cunliffe-Owen said that "the good fortune of finding a mate of equal rank cannot fail to the lot of all the marriageable Princesses of Europe nowadays. There are a fairly large number of such women, and if they resolve to wed none but Princes of the blood royal many of them will have to remain single. For royal society is not what is was before 1914. Half of Europe is not speaking to the other half and the list of Princes that any Princess may consider is lamentably short. "The war has left so many painful memories that generations will pass before there can be matrimonial alliances between members of dethroned dynasties and sovereign houses of the Entente. German and Austrian Princes and Princesses realize that they owe the loss of their crowns and their fortunes to the victorious powers in the international conflagration. Nor can the scions of their foes forget the enmity of Germany and of Austria-Hungary." Early in the decade, four of the most important weddings took place in the Balkans. Queen Marie of Roumania, a granddaughter of Queen Victoria, and by birth a British princess, was one of the most indefatigable matchmakers of period. In 1921, she managed to marry off two of her children, Crown Prince Carol and Princess Elisabeth, to the eldest children of her first cousin, Queen Sophie of the Hellenes. Elisabeth was the first to marry, in February 1921, to King George II of the Hellenes. One month later, Carol married George's sister, Princess Helen. Queen Marie scored another Balkan success a year later when she arranged the marriage of her daughter, Marie, to King Alexander I of Serbia. None of the marriages was successful. Carol and Helen's marriage ended in divorce in 1928; seven years later, Elisabeth and George were also divorced. In 1934, Marie was widowed when her husband was assassinated while on a state visit to Marseilles. The year before Princess Olga married Prince Paul, she had accepted the proposal of Crown Prince Frederik of Denmark. This engagement, engineered by their mothers, ended after only a few months. It was said that the Crown Prince's drinking problem was the main reason why "dignified and stately" Olga ended the relationship. Although Queen Mary had considered Olga as a possible wife for the Prince of Wales, and arrangements were made for the Greek princess to meet the heir to the throne. At a ball hosted by Princess Nicholas' cousin, Lady Zia Wernher, Olga made an impression, not on the Prince of Wales, but on Prince Paul of Yugoslavia. A first cousin of King Alexander I, Paul was handsome, Oxford-educated, and an art enthusiast. He was also good friends with the Duke and Duchess of York. Paul pursued Olga throughout the summer, and she accepted his proposal during a visit to the cinema in July 1923. The Duke of York served as the best man; and the day before the wedding, he also acted as one of the godparents to the infant Crown Prince Peter of Yugoslavia, the first child of King Alexander and Queen Marie. < Three months earlier, Princess Jolanda of Italy married Count Giorgio Calvi di Bergalo. Although her parents had accepted Jolanda's choice of a husband -- it was unusual for an Italian princess to marry outside the royal caste --her younger sisters were expected to make far grander marriages. It had been suggested that when the King and Queen of the Belgians had made a state visit to Italy, Jolanda would become engaged to their elder son, Prince Leopold. "But the stay of the royal party at Rome was brought to a close without the announcement." The two royal families were determined to arrange a marriage between their children; and not long before Jolanda's marriage, rumors about Mafalda's future marriage began to circulate throughout Europe. Mafalda, only 20, was going to marry -- surprise! -- Crown Prince Leopold of the Belgians; and their engagement, according to a report in The New York Times would be "announced immediately after the marriage of Princess Jolanda, according to a report current in court circles here." The day after Jolanda's wedding, the Associated Press published a report by the Agenzia D'Italia, that Mafalda's betrothal to the Duke of Brabant "will be announced shortly." Even though no announcement was made at the predicted time, rumors of an Italian-Belgian engagement persisted through the summer of 1923. "Such an alliance would have united two Catholic families, war-time allies, and politically, it was said, would have strengthened the position of each dynasty." Not only was Mafalda expected to marry the heir to the Belgian throne, her younger brother, Crown Prince Umberto, was being linked with Leopold's sister, Marie-José. That September, the situation reached an apex when the King and Queen of the Belgians joined the Italian royal family at their summer home at Racconigi. An announcement about the two engagements was expected to be made on September 15, Umberto's 19th birthday. But just a day earlier, Mafalda and her younger sister, Giovanna, were both stricken with typhoid fever. Umberto was quickly sent on a cruise to avoid contagion, and the Belgian royal family hurried back to Brussels. The two young princesses were eventually restored to health, but the marriages were put on hold. Princess Mafalda was, however, in love, not with the Belgian Crown Prince, but with another man, an art student she had met at the villa of a well-known painter. She confided her secret to Giovanna, who said: "I would rather die and would die if I were forced to marry somebody I did not love. You do not love Leopold. Why should you marry him? I would not." British writer F. Cunliffe-Owen wrote: "superstitious people in Italy have come to the conclusion that no matrimonial alliance between their reigning family and the royal house of Belgium will ever take place, and that since Providence has manifestly some other projects for the children of their King and Queen, it would be unwise to run counter to the decrees of Heaven, where all really successful marriages are made." The Italian princess would also be linked with the Prince of Wales when she and her parents visited London in 1924. According to The New York Times, "the British heir on that occasion accompanied her in public and was said to have been very attentive to her." The Prince of Wales was probably just being nice to Mafalda. Unless the Italian princess was willing to relinquish her Catholic faith, the prince would not be able to marry her. As far back as 1920, Prime Minister Lloyd George had told the king that "the country would not tolerate the Prince marrying a foreign princess." Although the king and queen would support a marriage with a British aristocrat, Queen Mary would have preferred a royal princess as her eldest son's consort. Lloyd George, concerned enough about a possible marriage with the Italian princess, sought out the views of prominent British Roman Catholics. If the Princess renounced her religion, he was told that there would be no Roman Catholics at the British court. But if she were to marry the Prince of Wales, the princess would have to convert. During a visit to Tokyo, David settled the question of this marriage when he made it clear to British Embassy personnel that he was not going to marry Princess Mafalda. The American media was largely responsible for repeating the various rumors of alleged engagements and marriages. Indeed, during the late 1920s, the Prince of Wales was "married off to at least nine continental princesses, least probably Princess Eudoxia of Bulgaria, thirty-nine years old, hefty and a musician." The Prince of Wales was, however, happily attached to a married woman, Freda Dudley Ward, and was showing no inclination to marry. The art student who had won Mafalda's heart was Prince Philipp of Hesse, the eldest son of the Landgrave Friedrich Karl of Hesse and Princess Margarete of Prussia. He was also very rich; he was heir to several castles; and he was Protestant and German. Although they would have preferred a marriage with the Catholic Leopold of Belgium, Mafalda's parents were not opposed to her marrying Prince Philipp. But Mafalda was told she would have to wait two years before a marriage could take place, as the political and religious hurdles had to be overcome. The couple were married on September 23, 1925. "Mafalda and Philip Wed in Royal Pomp; Gay Crowds Cheer," blared the headline on the front page of The New York Times. During the summer, special ecclesiastical arrangements had been made for the marriage. Mafalda would remain Roman Catholic, and "the ceremony [will be] accompanied by all the Catholic religious rites, except a special mass, for which no special dispensation can be made." Not long after Mafalda's wedding, Princess Giovanna became the subject of the media's attention. And, once again, the talk turned to a Belgian marriage. The New York Times reported that "it was later stated, but not confirmed, that Giovanna was the one selected for the Belgian Crown Prince." Crown Prince Leopold had other ideas about his future queen. The 24-year-old Prince's engagement to Princess Astrid of Sweden, 20, was announced in September 1926. His father, King Albert I, said in an interview, "The Queen and myself expect the marriage to be a happy event for both dynasties and peoples. The Princess will soon feel fully at home at Belgium. Their marriage is entirely one of inclination. The Prince and Princess met several times before her visit last month to Clergnon Castle. They are acting in complete liberty and independence without interference from anybody." Leopold turned 25 the day before the civil ceremony in Sweden, which took place on November 4th. A week later, Leopold and Astrid were married in a Roman Catholic ceremony in Brussels. As Astrid was Lutheran, a special ecclesiastical dispensation was granted to permit the marriage in a Roman Catholic Church. The ceremony was Catholic but without the nuptial mass. "All Belgium has given its heart to the young Princess, whose destiny but a few months ago appeared far removed from her entrance into one of the reigning royal houses of Europe. The fact that the marriage was one of love, and not for political reasons, had struck a responsive note in the hearts of the people and their enthusiasm could not be restrained." More than 200,000 Belgians lined the streets to catch a glimpse of the new Duchess of Brabant. Not long afterward, the papers were reporting yet another engagement, this time between Leopold's sister, Marie-José, and Crown Prince Olav of Norway. "Court officials deny that a marriage is contemplated between the son of King Haakon and King Albert's daughter, but they denied that Prince Leopold and Princess Astrid were to be married until a few weeks ago. Therefore aristocratic circles are confident that they will get invitations to a second wedding next spring." But an Italian-Norwegian wedding was unlikely. In March 1929, Crown Prince Olav married his first cousin, Princess Martha of Sweden, two years his senior, in a Lutheran ceremony in Oslo. The guests included the Duke and Duchess of York, as the Duke was the Crown Prince's best man. The groom's mother, Queen Maud, came into the church "wearing a cloak of silver tissue with a tiara of diamonds gleaming from her hair." Meanwhile, back in Rome, the Italian court was still considering Marie-José as a bride for Crown Prince Umberto. The New York Times described this possible match as "uncertain," and complicated "by the outspoken admiration of Umberto for the daughters of the Duke of Guise, the French pretender, who attended Mafalda's wedding with bobbed hair and short skirts, their modernity in thought and manner appearing complete not excessive." In 1926, Princess Marie José, and her contemporaries, Princess Martha of Sweden, Princess Ileana of Roumania, Princess Giovanna of Italy and Infanta Beatriz of Spain, were the princesses most likely to be the subject of marital rumors . But for some unexplained reason, The New York Times singled out Giovanna and Beatriz, describing them as "the most pathetic little princesses." Beatriz, according to the paper, "seems to consider the situation with a forlorn look in her 17-year-old eyes." Queen Marie of Roumania, determined to see all of her daughters wearing crowns, remained a serious player when it came to arranging marriages. Once described as a "bit of a meddler in the affair of others", Marie's matchmaking attempts were largely abysmal failures, as evidenced by the marriages of Carol and Elisabeth to Helen and George of Greece. But the collapse of these two marriages did not deter Marie from planning an equally grandiose marriage for her youngest daughter, Ileana, who turned 17 in 1926. One of the persistent rumors linked Ileana with the Prince of Wales, even though they barely knew each other. Such a marriage would have been an elaborate feather in Marie's large cap. But "there was never any foundation in fact for the rumor, and in all the royal marriages in Roumania, it has been the Duke of York who represented the British royal family." The Queen was among those who took part in arranging "tea-cup betrothals" (an expression coined by the Prince of Wales); and it was assumed Marie was behind the rumored engagement between her niece, Grand Duchess Kira of Russia, and King Boris of Bulgaria. It would have been appropriate for Boris to marry Kira, both being of the Orthodox faith. The Grand Duchess was certainly in contention. After Boris had returned to Belgrade from attending Umberto's wedding in January 1930, one court official was asked why the king had not picked out the prettiest princess. "They were all more or less moches (homely) with the exception of one Russian princess, Grand Duke Kyril's daughter." Prince Paul of Yugoslavia told an American diplomat that Kira was not "averse to marrying the Bulgarian monarch, as the young lady had expressed herself favorable to this idea only recently. As Kira is of the Orthodox faith, this match would in all probability be agreeable in Bulgaria." Aunt Marie (of Roumania) must have whispered something to Kira, who, briefly, emerged as the front runner. Prince Paul, however, was not disposed toward the Bulgarian monarch. "How could any girl fall in love with Boris with his wizened face." Again, perhaps encouraged by Queen Marie, only weeks after the Kira-Boris engagement rumors were put to rest, a Roumanian newspaper reported in September 1929 that Ileana was now the subject of Boris' interest because of the Vatican's opposition to his marriage with Princess Giovanna of Italy. "Should Queen Marie put a Balkan crown on the head of her daughter her action might have important effects on Balkan peace. Dynastic diplomacy has been outmoded in other parts of Europe but here it might lay the keystone of Bulgaro-Rumanian reconciliation and initiate better relations between the courts of Belgrade and Sofia," proclaimed a special cable published in The New York Times. "This eventuality is out of discussion," was the official comment from Sofia a few days later. In other words, no comment! "According to well-informed Rumanian Court circles," Ileana was linked with an unnamed German prince; and when she visited Sweden, everyone assumed she was going to marry a member of the Swedish royal family. It was later reported that Ileana had gone to Stockholm to "search for a fiancee for her brother, Nicholas." In 1923, according to Cunliffe-Owen, Ileana, "the winsome and still very youthful" was "frequently put down as a likely consort for the Prince of Wales." But the author was convinced that Ileana "was destined to become the wife of Prince Paul of Greece, who, owing to the childless union of his brother, King George II, is next in line of succession of the throne." It was doubtful that even Queen Marie would consider a marriage with Paul, after the failures of the marriages of his brother and sister. Between 1926 and 1930, the Roumanian royal house denied a series of "forthcoming marriages" for Ileana. In October 1926, Queen Marie, then on a visit to Winnipeg, Manitoba, said she knew of "no plan for the marriage of her daughter, Princess Ileana," to the Crown Prince of Italy. Seventeen days later, the New York Times reported that Ileana would marry Archduke Albrecht of Austria, a story based on articles in several Hungarian newspapers. One Hungarian paper, according to the New York Times story, considered "that the Queen of Rumania suggested this marriage as a possible means of uniting the two countries." A year later, a Viennese dispatch, published by The New York Times and other papers, stated: "An amazing dramatic and almost unbelievable report from Bucharest concerning Princess Ileana, the youngest daughter of the late King Ferdinand and Queen Marie of Rumania. According to this report, political as well as social circles are buzzing with the rumor that the 18-year-old Princess eloped with a young naval lieutenant, who was an aide-de-camp to the late King." Unbelievable. Untrue. The princess and the young man were seen strolling together at a Black Sea resort. They were old friends, but not engaged to be married. The report continued: "It always has been thought that Princess Ileana had leanings toward a freer life than is possible within the strict bounds of court restraint, and it is pointed out that her brother Carol is not the sole member of his generation whose royal blood is strongly tinged with a strain of romance. It is only fair to add that this charming girl has been engaged by rumor, but not in fact, during the last two to three years, to any number of foreign princes, including Boris, the bachelor king of Bulgaria." The princess herself would later admit to a problem with finding a husband. "It is not easy for a girl to get married today, even if she is a Princess," Ileana told a visiting Bishop in June 1929. She admitted "a slump in the marriage market," and said "I shall stay in Rumania so long as no one comes to take me away." Several months earlier, the Roumanian court denied that Ileana was engaged to marry Infante Alfonso, the Prince of Asturias, heir to the Spanish throne. Alfonso's mother, Ena, was one of Queen Marie's first cousins. In early 1930, Princess Ileana became engaged to Count Alexander von Hochberg, the second of three sons of Hans Heinrich XV, the 3rd Prince of Pless and his first wife, the British-born Mary-Theresa Cornwall-West. Better known as Daisy, the Princess of Pless was a close friend of Queen Marie. Ileana was introduced to the Count at a ball to celebrate her 21st birthday, and "for the Roumanian princess, it was love at first sight." She introduced her fiance to a group of school girls at the Roumanian School of Sculpture. "I have chosen well, girls, have I not? I imagine none of you will believe that we have known each other for only a few days. No one imagines that a Princess can also marry for love. But I assure there were no other arrangements and no diplomatic conversations before our engagement." The engagement was broken off shortly afterward at the insistence of Queen Marie, who had learned of Alexander's involvement in a homosexual scandal when he was 18. Later that year, in Spain, Ileana met Archduke Anton of Austria, a member of the Tuscan branch of the Habsburgs. Their engagement was announced in May 1931, and were married two months later. Archduke Anton, who had once worked as a gas station attendant in Spain, was not wealthy, nor did he have a Crown to offer his young wife. Ileana "upheld the romantic glamour of royalty, and has been observed by more than one journalist as a pawn in the political game of Central Europe." By 1929, The New York Times published an article, "Princesses Who Await Their Princes," King Boris's name "more than any other royal bachelor has been coupled with those of the daughters of ruling families. Before the war an alliance was looked for in the Balkan states, in recent years it has been said that he was seeking a bride in the Scandinavian countries." A great-grandson of Louis-Philippe of France, Boris was "reticent, but few who come into contact with him fail to feel his charm." He was still being linked with Princess Ileana, although his father, King Ferdinand, then living in exile in Germany, had "expressed his disapproval of Rumanian brides when Elizabeth, later the Queen of Greece, had been proposed for a possible wife for his son." Ferdinand, according to the article's author, Virgina Pope, "feared that the Rumanians had 'stabbed him in the back.'" Less than a year later, The New York Times reported that "it is on record that when Princess Ileana's name was once mentioned to King Boris, he laughed the matter off in a pleasant way he has and declared the union unthinkable." On October 3, 1930, the Bulgarians finally learned who their future queen would be. In Rome, King Victor Emanuele and Queen Elena announced the engagement of their third daughter, Giovanna, 23, to the 36-year-old "Bachelor King." This engagement had been rumored for some years, but there was always the religious obstacles that had to be overcome. The King, first baptized a Roman Catholic, was received into the Orthodox church as a toddler. Bulgaria's state religion was Eastern Orthodox, and the Bulgarian constitution stipulated that the sovereign and the Crown Prince had to be Orthodox. Boris had petitioned the Vatican to grant a dispensation so he could marry Princess Giovanna, a Roman Catholic. But it took time and careful negotiations with the Vatican before their engagement could finally be announced. The king let the princess know that he had an Italian friend in Sofia, on whom he could count. The friend, as it turned out, was Monsignor Angelo Roncalli, the apostolic delegate in Sofia. Roncalli, the future Pope John XXIII, who loved Bulgaria, and had been posted there in 1925, was eventually able to arrange a solution to the religious situation. According to Boris' biographer, Stephane Groueff, Roncalli "was not overly insistent on a solemn commitment in advance concerning the future children's faith, even though he had to issue some pro forma warnings." This meant that one of the primary obstacles -- that Giovanna and Boris' children be raised Roman Catholic -- was largely overcome. Several years earlier, Boris and brother visited Rome where he took the opportunity to speak with Giovanna's father. After the king had returned to Sofia, Giovanna and her mother, Queen Elena, were at the opera. During the intermission, the queen took her daughter aside, and said: "I have something to tell you. Mafalda told me that Prince Kyril [Boris' younger brother] went to see her, to ask her whether you would marry his brother, King Boris. What do you think of him?" Giovanna was not entirely surprised by this news, as the newspapers had already linked her to the Bulgarian sovereign. She told her mother that she didn't know the king well enough, and needed time to think about. Later, she said the same thing to her father. King Vittorio Emanuele "had always held Boris's war record in high esteem, although they had fought on opposite sides." The princess certainly had enough time to consider the marriage. She did not hear from Boris for two years; and the question of their marriage would not come up again until the Bulgarian king returned to Rome in January 1930, to attend the wedding of Crown Prince Umberto and Princess Marie José of Belgium. It was impossible for the king and Giovanna to talk before the wedding, "especially on the day of the wedding when Boris in full uniform rode on horseback side by side with Victor Emanuele and the crown prince through the streets of the Eternal City." It was not until the following day, at Princess Mafalda's villa in Rome, that Giovanna and Boris could finally sit down and talk about their future. The king made it clear that he wanted to marry Giovanna, but was openly cautious because of certain religious obstacles, which included the Vatican's insistence that the Bulgarian children be raised as Catholic. This was in contradiction to the Bulgarian constitution which required the heir to be Eastern Orthodox. Boris' father, King Ferdinand, a prince of Saxe-Coburg and Gotha, elected a sovereign prince of Bulgaria in 1887, was a Roman Catholic, although the religion of Bulgaria was Eastern Orthodox. When he married a Roman Catholic princess, Marie Louise of Bourbon-Parma, in 1893, he agreed that their children would also be raised Roman Catholic. Marie Louise's father, the Duke of Bourbon-Parma, would not have consented to the marriage unless this condition was made. The Bulgarian constitution required that the crown prince be Orthodox; however the Bulgarian parliament agreed to this demand. Thus, when Prince Boris, named for the king who converted Bulgaria to Christianity, was born nine months later, he was baptized according to the Roman Catholic rites. His christening turned into a "political affair, causing a tremendous uproar," as it was vital for the Bulgarians that the young heir be christened Orthodox. Ferdinand's dilemma was acute, as neither the Vatican nor his family would accept Boris' conversion. But the Bulgarian crown was important to Ferdinand, far more important than his family's feelings. He sent an aide to meet with Pope Leo XIII, but the Pope would not permit a conversion. There would be no sympathy for the Prince. The Pope told Ferdinand to "Abdicate, Prince, abdicate. If you deliver your son Boris into schism, you are excommunicated, ipso facto." Ferdinand was excommunicated, and the two-year old Prince Boris was christened in Sofia's cathedral. Emperor Nicholas II, represented by a special envoy, was the godfather. Princess Marie Louise, disappointed and betrayed, fled the country for a time, as she was unable to persuade her husband to change his mind. When Boris broached the subject with the Vatican, the subject of the childrens' religion again surfaced. The Vatican insisted unless the children be raised Catholic, no dispensation would be granted. In July, the king's sister, Princess Eudoxia, acting as a intermediary, traveled to Italy to meet with Giovanna. Talks were progressing slowly, she said, but she believed that it was entirely possible that a solution could be attained. Boris did agree to the demand that their children be raised as Roman Catholics with the exception of the Crown Prince. (When the couple's first child, Maria Luisa, was born in 1933, Boris arranged for an Orthodox christening just two days after her birth. King Vittorio Emanuele's response: "Of course! The King couldn't do anything else! It's very natural: the country is Orthodox and the king's children must be Orthodox too." In reality, King Boris III had nothing to fear from Vatican retaliation as he was Orthodox, and unlike his father, Ferdinand, he could not be excommunicated). The compromise was achieved in early September. King Boris paid another visit to Italy where he stayed at the Italian royal family's seaside villa, Gombo. He was finally able to tell Giovanna and her parents that the obstacles were overcome. On Sept. 3rd, Boris and Giovanna decided to marry, but chose not to "announce their engagement officially until all the formalities were settled." Exactly one month later, the official announcement was made. "Their Majesties, the King and Queen, have the pleasure of granting their consent to the betrothal of their daughter, Her Royal Highness Princess Giovanna, to His Majesty Boris III, King of the Bulgarians." The Vatican dispensation was granted on Oct. 15th, with the wedding to take place 10 days later at Giovanna's favorite church, the basilica of St. Francis at Assisi. The couple were married in a "drenching rain;" and Giovanna's wedding gown, "a simple white satin dress which followed becomingly the slim lines of her youthful figure," got wet as she and her brother, Crown Prince Umberto, made their way into the church. Queen Elena's gift to her daughter, was a "priceless veil of ivory-tinted Venetian lace," which "was held in place by a sprig of orange blossoms" on her head. The Bulgarian king, in military uniform, "also looked happy, his naturally rather sad and pensive features being alive with animation." Earlier in the year, the long-predicted and long-awaited marriage between Crown Prince Umberto of Italy and Princess Marie-José of Italy took place. On Oct. 5, 1929, the AP reported that Marie José's marriage to Umberto was "expected to take place here [Brussels] at the end of February." The official announcement was made in Rome on October 24th after Princess Marie José had accepted Umberto's proposal as they strolled through a garden at the royal palace in Venice. The princess and her father, King Albert I, were in Italy on a private visit to allow Umberto to pop the question. But it was not a love match. According to Robert Katz, who wrote the book, The Fall of the House of Savoy, Umberto "had not wanted to marry Maria José." "I wish I were a fireman so that I could marry whom I please," Umberto lamented. But for the Italian royal family, Marie José, "though not very beautiful, was the most eligible candidate in Europe." She was "the homely kind, and while being well educated and cultured, she preferred simplicity to court elegance." The Crown Prince was the opposite, "glorying in the latter and disdaining in the former." These differences "in combination with the prince's cavalier demeanor, seemed likely, it was feared in Rome, to bring the plans to ruin. The princess, Brussels let it be known, was growing exasperated" with the stories about Umberto's escapades, and "she might place pride before love." But Vittorio Emanuele was not willing to lose a chance for this dynastic alliance. Marie-José was one of the wealthiest princesses in Europe, largely due to the private fortune Leopold II, had accumulated through his personal aggrandizement of the Congo. She was also only one of three eligible Catholic princesses from a reigning monarchy (The other two were Beatriz and Maria Cristina of Spain. Princess Hilda of Luxembourg would marry in October 1930). The Crown Prince, who never disobeyed his father, was ordered by the king to marry Princess Marie José. It is suffice to say that the marriage between the Belgian princess and the Italian Crown Prince was not a love match. It also might have been the last truly arranged and dynastic marriage among reigning royal families in the 20th century. Thus, it is a not a surprise that the future queen described her wedding "as a fairy tale of long ago, times that will never again return." Within months of their marriage, Umberto had already strayed from the marital bed. It has been reported in several biographies and histories of the Italian royal family that the couple's first two children were conceived not in the natural way but through artificial insemination. The Crown Princess' gynecologist, later dismissed from his post, revealed the secret during a lecture on artificial insemination at the University of Naples. Marie José apparently revealed to Count Ciano that her second child, Prince Vittorio Emanuele, was also conceived through "the same technique which had brought Maria Pia into the world." In a pre-wedding and prescient profile of the future queen of Italy, The New York Times wrote: "One wonders how she feels about the future, for nowadays it is not easy to be a king or a queen. 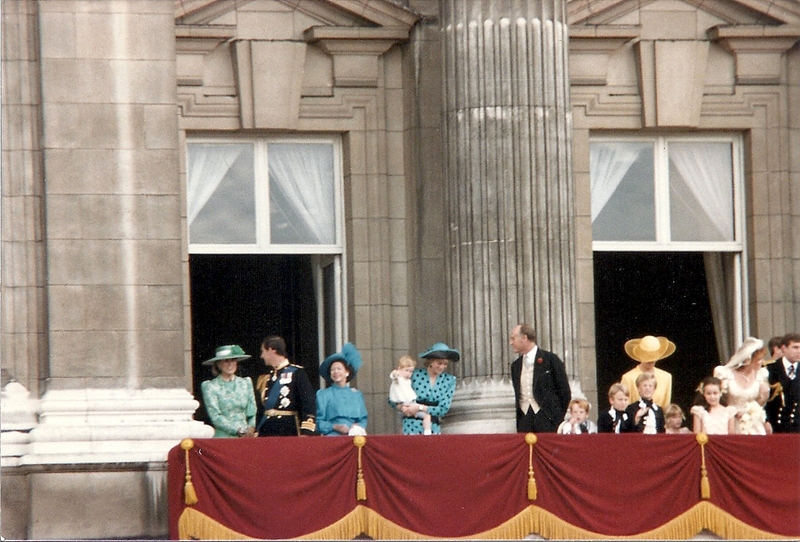 The modern conception of royalty is not so much people who govern and rule but rather of persons capable of interpreting to the many the tone and manners of a more gracious age, of a way of life not conditioned by the struggle for existence, the making of a better place in the social hierarchy. It is demanded of them that they shall express human qualities, and present to an increasingly bourgeois world the elegance of an order where culture rather than material ambition is the end and fulfillment of life." The Royal House of Italy's fate was largely sealed when Mussolini came to power in 1922, and set Italy toward a dangerous course that eventually led to Vittorio Emanuele's abdication in 1946, followed by a referendum on the monarchy. Only 46% of the Italian population voted to maintain the Savoy dynasty, certainly not enough votes to maintain the status quo. The family went into exile, Umberto settling in Portugal, and Marie José and their children moved to Switzerland, near the Italian border. Princess Marie José's marriage meant that the attention turned to Spain and the two infantas: Beatriz and Maria Cristina, the daughters of King Alfonso XIII and Queen Victoria Eugenia. Beatriz, for a time, was suggested as a bride for the Prince of Wales. In 1927, Beatriz's father would not allow her to visit London because "of rumors linking her with the Prince." That same year, she was said to be engaged to Prince Louis Ferdinand of Prussia, the second son of the exiled German Crown Prince Wilhelm, and was also, at least according to the media, considered as a bride for Crown Prince Umberto. "Nothing but a throne will do for her, so those who know her say. She is fond of clothes - brocades, silks and furs -- and enjoys the pomp and ceremony and court life." When a republic was established in Spain in 1931, and the royal family went into exile, the infantas' marital stock dropped considerably. On July 26th, Beatriz became engaged to her second cousin, Infante Don Alvaro Bourbon-Orleans, but "the marriage, it is understood, will not take place until the Prince, who is twenty-one, has completed his studies in Zurich." Their marriage, according to an Associated Press report in February 1932, was to take place at Fontainebleau "with only the parents as witnesses." The marriage never took place. Infanta Beatriz was eventually married in 1935 to an Italian Prince, Don Alessandro Torlonia. Her younger sister, Maria Cristina, was also briefly engaged to Don Alvaro, but in 1940, she married a wealthy Italian, Enrico Marone Cinzano. By the early 1930s, the media attention was focused on seven eligible princesses, so designated in an article in The New York Times. Clair Price's "Fewer princesses for Europe's Princes," focused attention on Princess Ingrid of Sweden, then being linked with Prince George of Great Britain; Crown Princess Juliana of the Netherlands, Princess Maria of Italy, then nearly 18, and three Danish princesses, Feodora, Caroline and Louise, the daughters of Prince Harald. "Bachelor princes seem to be more numerous, but this may be because King George alone has three bachelor sons, the eldest of whom has long been the most celebrated bachelor in the world." Ingrid, one of the "most smartly dressed" young royal women, visited England often, was subjected to numerous rumors about her marital future. In 1928, she was reportedly engaged to Crown Prince Frederik of Denmark. A year later, it was the Prince of Wales who was named as her future husband; and in 1930, she "was reported to be in love with the Count of Paris." This latter alleged romance does stretch the imagination, as it was unlikely that the pretender to the French throne would marry a Protestant princess. The number of eligible heirs to thrones were also limited to "the greatest catch of all, the elusive Prince of Wales,"the Crown Prince of Denmark and Archduke Otto of Austria, who, according to The New York Times, "may or may not succeed to the vacant throne of Hungary;" and Prince Kyril of Bulgaria, "whose chances of succession may be assumed to have been somewhat eclipsed by the marriage of his brother, King Boris." Earlier in 1932, Hereditary Prince Gustaf Adolf of Sweden, son of Crown Prince Gustaf Adolf, married German princess Sybilla of Saxe-Coburg and Gotha, a rare example of a marriage between a heir to a reigning monarch and a princess from a former ruling German family. This latter marriage was, perhaps, a sign of things to come. In 1933, Adolf Hitler came to power, and started his inexorable march toward confrontation, conflagration and, eventually, catastrophe for Europe. From the ashes, a new Europe, even more bitterly divided than before, was born. There would be even fewer monarchies that survived. King George II of the Hellenes was restored in 1935, fled at the time of the German invasion in 1941, and recalled to the throne five years later. The Italian monarchy was voted down in a plebiscite in June 1946. The Soviet-controlled Bulgaria and Roumania forced their royal families into exile, but Bulgaria went one step further when Prince Kyril, a regent for his young nephew, King Simeon, was forced to dig his own grave, and then shot to death by the Communists. Today, the media, here in the USA and abroad, continues to wax lyrical about the young royals of marriage, and one still can read about marital speculation. But in the late 1990s, the eligible heirs to thrones are far less likely to marry fellow royals than their parents or grandparents, and none of the marriages will be dynastic or political alliances. Today's young heirs of Europe may still require the Sovereign or Parliamentary (or both) permission to marry, but marrying a princess from another royal house is no longer the primary goal. Most of these princes and princesses marry for love, and do live happily ever after. What a very interesting and well-researched post. I do enjoy reading your site. I LOVE when you write a piece like this! So well written, lots and lots of detail ( which means I have to read it a lot for it all to sink in) .Thank you so much. Thank you soooooooo very much for such a detailed post. It was great fun to read!! !